How Can I Develop an App For my Business site And Make Money From It? 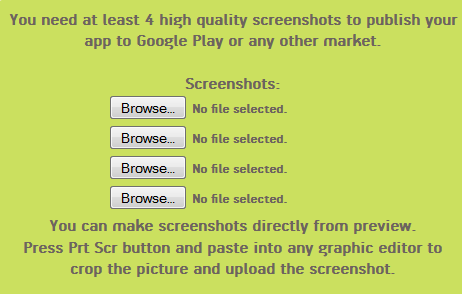 ScreenMunch it and upload it directly. >Once you are done uploading, click on submit¦ Gbam! be need for any adjustment. want to upload your app. Now,I’ve Known How To Create Android App FOR My Business,How Can I Make Money With It? Don’t Lemme Be Twistinf Or Lying For You,This Can’t Make You A Billionaire Overnight And Also For You To Make A Penny From It,You Should Have Gotten High Amount Of Downloads And Usage. There Are Millions Of Android App Monetizer But I’ll Recommend Admob Coz It Really Pays And Has Been Acquired By Google. Just Locate Admob In The Publishing Interface To Monetize Your App With Them.